First cycling route project Via Douzelage online! Douzelage Meerssen has started a project called “Via Douzelage”. It aims to create a network of walking and cycling routes, connecting the Douzelage partnertowns. 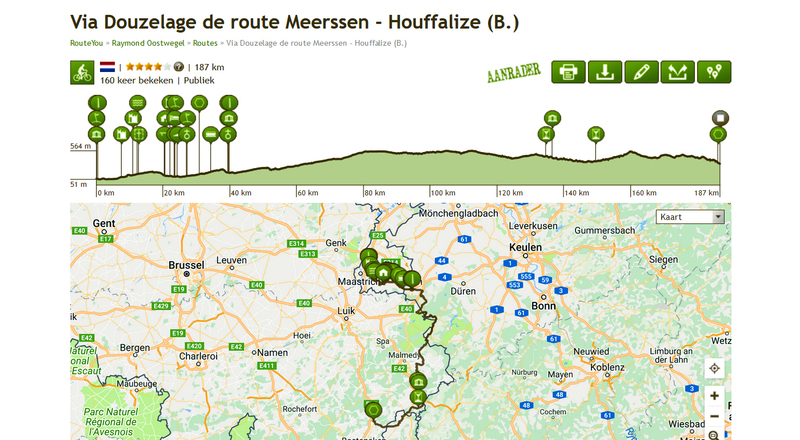 Now the first result is online, a cycling route from Meerssen (NL) to Houffalize (BE). You can find the route here (website in Dutch). ← Youth Exchange “Hobby and Education” in Agros started!